The 1813 pattern coatees would remain the standard uniform for the remainder of the War of 1812 and, in fact, would not be replaced until the the early 1820’s. Our reproduction 1813 Coatee is true to the original in form and appearance. The body is made of high quality blue wool with a wool and cotton lining. The trim is correct white, worsted wool lace. The pewter buttons are the eagle over oval style. It has a period cut with high waist, tall collar, and long sleeves. 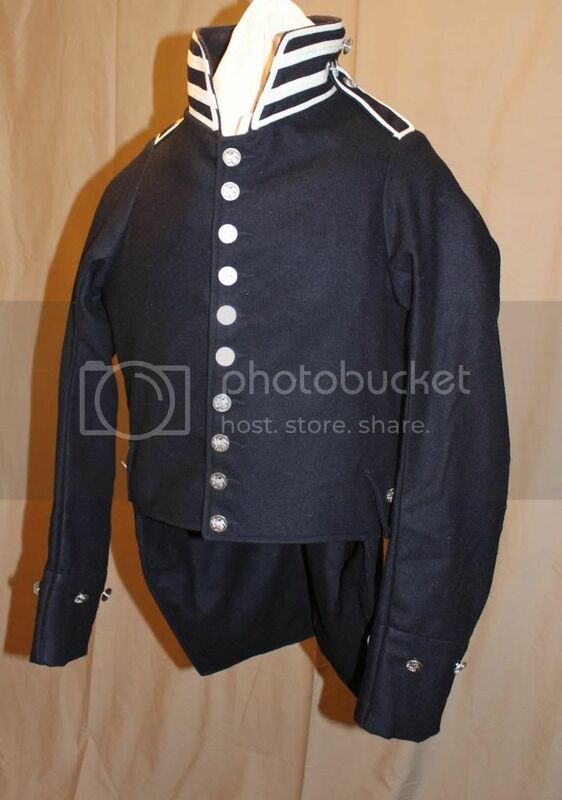 Our 1813 Infantry Coatee also provides an excellent foundation for the creation of other War of 1812 period uniforms. 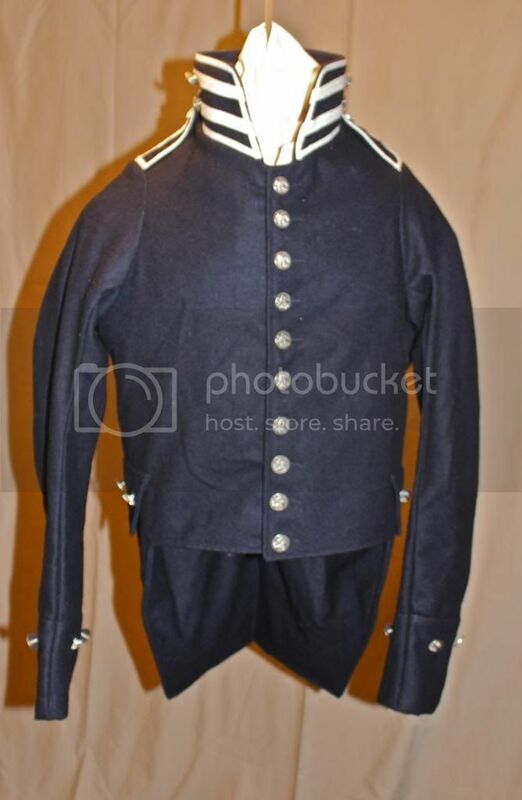 It can be easily altered to create an authentic Officers, Artillery, or Light Artillery coatee by swapping out the white trim for another color/style. It would also be possible to reproduce a number of different militia uniforms by altering the coatee's trim, adding cut-aways, taping, etc.